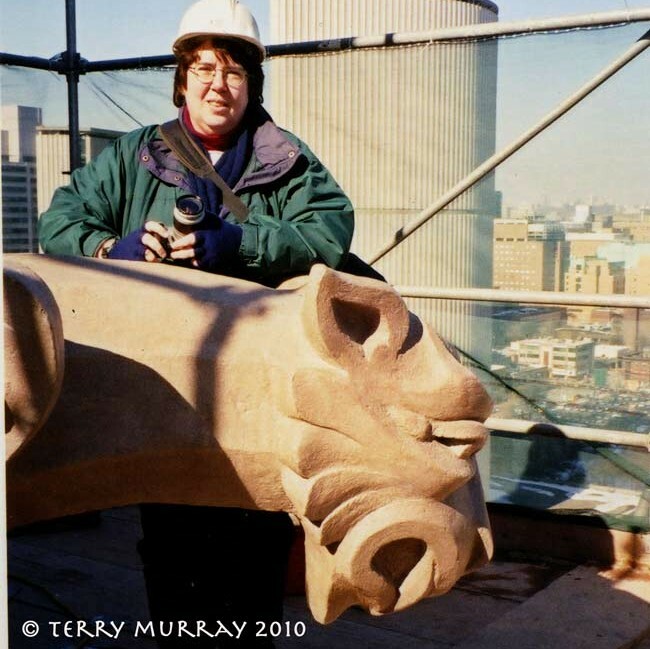 The release of the movie “The Monuments Men” put me in mind of a building in Ottawa. “The Monuments Men” tells the story of the rescue of European art stolen by the Nazis during the Second World War. The “men” included about 345 men and women from 13 countries, most of whom volunteered for services in the Monuments, Fine Arts, and Archives section of the Allied armies. 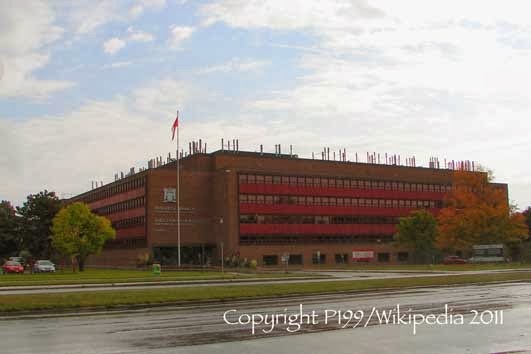 The Ottawa building is the K. W. Neatby Building, now home of the Eastern Cereal and Oilseed Research Centre, a research centre of Agriculture and Agri-Food Canada (the federal agriculture department). It’s located on Carling Avenue, across the street from the Ottawa Civic Hospital and on the grounds of the Central Experimental Farm. The part of the building seen from Carling Avenue, a 1956-1958 addition in the International Style as it was used for federal buildings of the mid-1950s, actually hides the main reason it is a Recognized Federal Heritage Building. The original 1936-1938 building was the Public Records Building, which housed the “Polish treasures” from 1940 to 1948. The Polish government wanted to conceal the nation’s cultural heritage at the beginning of the 1939 German invasion. The treasures — including 140 Arras tapestries dating from the 15th century, regalia such as the 14th-century coronation sword, religious artifacts including a Gutenberg bible, and Chopin manuscripts — arrived in Ottawa in July 1940, after a “dramatic and circuitous” trip from Wawel Castle in Cracow, through France and Britain. According to an undated essay about the building by Edgar Tumak, an architectural historian and heritage specialist who is currently a city councillor in Deseronto, Ont., the Dominion archivist offered the building because no area museums had appropriate storage space. The Records Building, however, was fireproof and had necessary security and temperature and humidity controls. One floor was given over to the collection, including large open storage areas that allowed the tapestries to be hung and repaired. The Royal Canadian Mounted Police stood guard. (At least two books, neither of which I have read yet, have been written about this effort — The Odyssey of the Polish Treasures by Aloysius Balawyder (1978) and The Strange Odyssey of Poland’s National Treasures, 1939-1961: A Polish-Canadian Story by Gordon Swoger (2004). The original Tudor Revival structure was designed by architect E.L. Horwood and was intended to be “severely plain,” according to Tumak. But Prime Minister William Lyon Mackenzie King decreed that the exterior was to be “somewhat more embellished.” King approved a sketch by architect J. Albert Ewart (eldest son of David Ewart, chief architect for the Department of Public Works from 1896 to 1914) who was also hired to supervise construction of the building, the plan for which was otherwise unchanged. Most of the “embellishment” is around the entrance — and provides a treat for anyone who leaves Carling Avenue and walks around to the other side of the building. What a gas! The clock is back!